Do you like utes? That’s an absurd question! Of course you like utes. 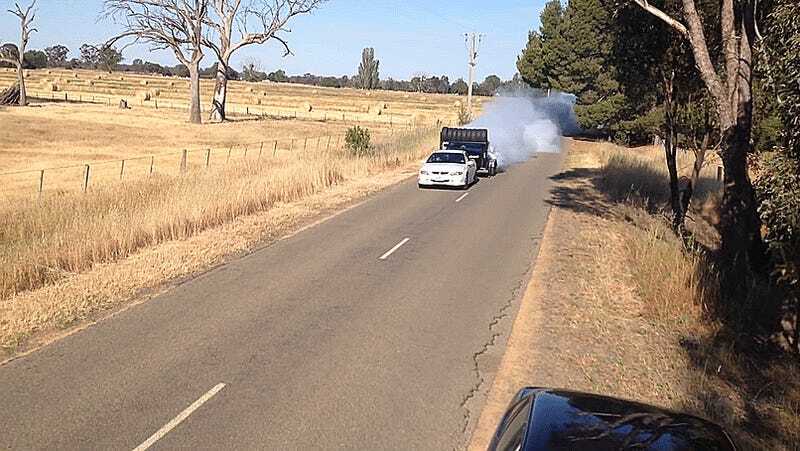 Do you want to see a ute towing a ute that’s doing a burnout on the trailer? Yes! Duh! Why do I keep asking stupid questions?! Let me show you a good ute burnout. Why ask obvious questions when you can watch a good burnout? Because this is the single most hoon-tacular LS1-powered Holden ute video clip I have ever seen. Please excuse me. I must now leave and drink out of my shoe. This video is a true victory for hoons everywhere. Man, that was good. Blown Holden Ute Does Double Roll During Burnout, Crowd Goes Wild!